Akwaeke Emezi's harrowing, challenging debut novel depicts its central character's struggle with mental illness through the lens of Nigerian folklore. The Ogbanje are a traditionally recognized cadre of "evil" spirits who invade Nigerian families in order to destroy them. 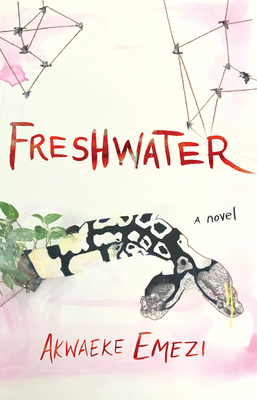 In Freshwater, a collection of these spirits attach themselves to Ada, a young Nigerian immigrant, seducing her into a cycle of divine self-destruction. After a traumatic incident in early childhood involving a poisonous snake, Ada finds she can communicate (not always voluntarily) with a host of spirits who have infiltrated her mind and self. Traveling to the U.S. to attend college, Ada is assaulted by a boyfriend. In response, a single entity named Asughara differentiates itself from the mass of others, and begins a kind of domineering, possessive romance with Ada. Like an abusive lover, Asughara coaxes and berates Ada into radical coping behaviors, demands sacrifices, and imposes strictures on Ada's human relationships. At the same time, Ada and Asughara become intimate friends, affirmations of one another -- two godlike creatures alone in the world of humans, caged and frustrated by their shared inability to exist in the full flower of their being. It's only March, but I can already tell this is one of the best novels I'll read in 2018.I can't wait to see what this author does next.